The aim of medical image fusion is to improve the clinical diagnosis accuracy, so the fused image is generated by preserving salient features and details of the source images. 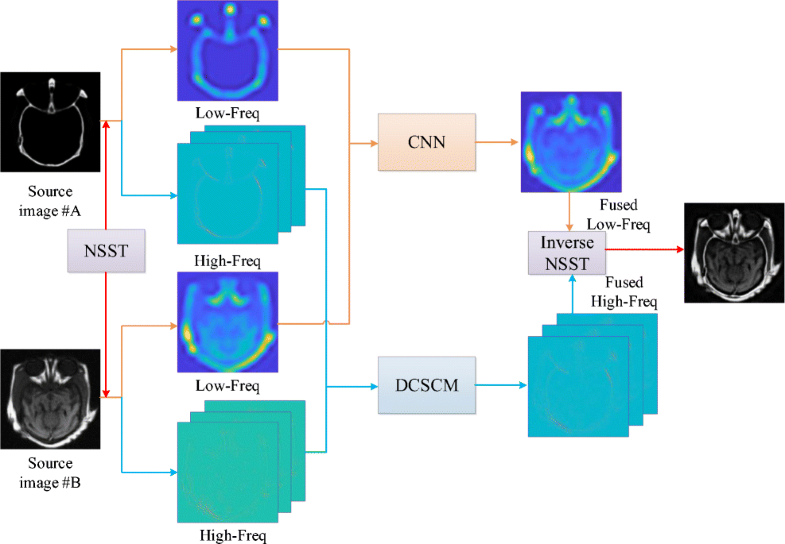 This paper designs a novel fusion scheme for CT and MRI medical images based on convolutional neural networks (CNNs) and a dual-channel spiking cortical model (DCSCM). Firstly, non-subsampled shearlet transform (NSST) is utilized to decompose the source image into a low-frequency coefficient and a series of high-frequency coefficients. Secondly, the low-frequency coefficient is fused by the CNN framework, where weight map is generated by a series of feature maps and an adaptive selection rule, and then the high-frequency coefficients are fused by DCSCM, where the modified average gradient of the high-frequency coefficients is adopted as the input stimulus of DCSCM. Finally, the fused image is reconstructed by inverse NSST. Experimental results indicate that the proposed scheme performs well in both subjective visual performance and objective evaluation and has superiorities in detail retention and visual effect over other current typical ones. A schematic diagram of the CT and MRI medical image fusion framework using convolutional neural network and a dual-channel spiking cortical model. 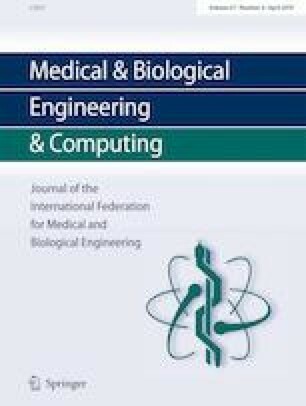 The authors thank the editors and the anonymous reviewers for their careful works and valuable suggestions for this study. This work was supported by the National Natural Science Foundation of China under Grants 61463052 and 61365001 and Yunnan Province University Key Laboratory Construction Plan Funding, China.